Our Senior Mangment Dicided to buy own yard due to increcese the number of vehicles purchased from the auction to solve vehicle storage space. 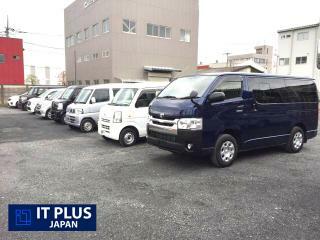 Then IT Plus Japan Newly Purchased Large Vehicle Yard to solving their vehicle parking issue. Now most of the vehicle we purchased from the Auction & the Car Dealers directly transport to our Own Yard. This yard can be done all inspection and if nessery they need, and also the maintaining process.